Jehlum: MPA Chaudhary Muhammad Saqlain announced that he will not take part in next election from Pakistan Muslim League-Nawaz seat. From last few days, there were rumors in Jehlum that Chaudhary Saqlain is going to join Pakistan Tehreek e Insaf (PTI). Chaudhary Saqlain was not giving clear answer to journalists but yesterday he announced that he has changed his political affiliation. He further clarified that he was not telling this because of some public projects in his area. In an event when reported asked him are you in PTI or not? Saqlain replied that he changed his party for the betterment of his area. Though he didn’t spoke PTI name, he has decided to join PTI, A Local newspaper reported. It’s worth mentioning here that Chaudhary Muhammad Saqlain won 2008 seat on PML-N ticket. 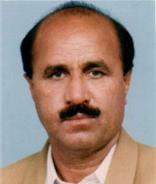 He has won MPA election three times in 1993, 2002 and 2008. He has strong political influence in Tehsil Sohawa. Chaudhry Saqlain, Faisla karnae sae phele per sooch lein. PTI ki boat garnae ja rahae hae.